In the Victorian times, people lived elegant and leisurely life. The Victorian style furniture is inspired from the glorious Tudor, Gothic, Elizabethan, English Rococo, Neoclassical designs. Mahogany and rosewood were popular materials used for furniture making and oak wood also made a re-entry. Iron was also used in the early Victorian style furniture. 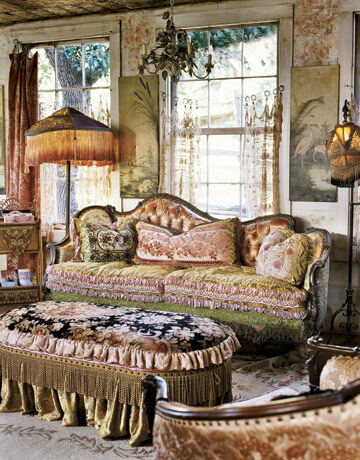 The furniture was feminine and delicate designs were chosen by people. The basic feature that people looked in the furniture was the comfort it would give. By 1835 the Victorian people wanted furniture that showed a lot of decorated curves. 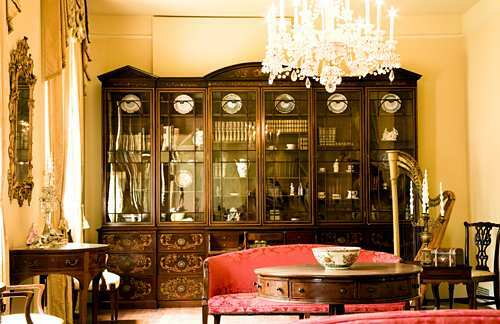 The furniture in the Victorian era is different from the other styles during the 19th century. Victorian homes had rooms furnished as per its requirement. These rooms were filled with sideboards, small lamp tables and display cabinet. The Victorian couch is wide and high backed with its back and arms exposed to wood trim of walnut or oak. The couch and side chairs were mainly kept near the fireplace during the winters. These side tables are covered with fabrics and were used to keep plants or arrange books. The Victorian side chairs are considered to be a treasure. In a Connecticut dining room there are six chairs have carvings of flower or fruit, but of these six chairs, only two are identical. The most important aspect of these chairs was the comfort given by them to their users by having cushions on the armchairs and the dining room chairs. One of the commonly used chairs was the Rocking chair. It could be carried across the floor by the person using it. To correct this tendency of the chair, stationery chairs were made. Both the rocking and the stationery chair had upholstered backs, seats and arms. Lady rocker was a simple form of rocking chair that had either an oval or rectilinear back or seat. A new style of chairs called the Morris chair was invented by the craftsmen made during the Victorian era after the English poet William Morris. These chairs were low, deep-seated with flat, but almost straight wood arms and hinged back that was adjustable to any angle. Thick and soft cushions were used to cover the seat and back of the chair. The effect of the Victorian style furniture could be seen throughout the 19th century. The Victorian style included decorations which were simple and had a handmade look to them.